Chances are if you read an article claiming the bull market in gold is over, or gold has a long way yet to fall, the writer will base his claims on deflation. Sure, they say, the Fed is increasing the money supply, but the banks are not lending it out. In addition, bankruptcies and foreclosures are sucking as much money and credit out of the system as the Fed is adding in at the other end. This is NOT what Larry Edelson says. Most of the views that state gold is still in a bull market and we are at or near the bottom of a “normal” correction fall into the inflation camp. They bring up trillion dollar deficits and QE. They haul out the “classic” definition of inflation. Inflation is an increase of the money supply leading to higher prices. Inflation is not rising prices. This is usually the result of deficit spending, because the Fed prints money to buy a portion of the debt (in our case, most of it) to hold down interest rates and that helps support the economy, the housing market and the stock market, all good things for incumbent politicians. Do deficits matter or don’t they? Are we on the edge of collapse or aren’t we? The only thing anyone can say with absolute certainty is anyone who claims to have the exact answer to that question is either lying, misguided, or both. Since 2008, we are sailing in uncharted waters. Slashing interest rates had no effect on the flat-line economy so Bernanke tried a radical new method to revise it – the Fed directly injected new money into the financial bloodstream, buying things from the banks like (MBS) mortgage backed securities and treasuries. A new word was devised to describe this policy – Quantitative Easing. Meanwhile, the BOJ (Bank of Japan) announced their own version of QE, which is expected to top $1.4 trillion by the end of next year. They plan to double their money supply! This is all open-ended stimulus with no exit plan or historical precedent. Really, no one knows how this will end. But many of us think we know. Jim Sinclair is absolutely certain that the Fed has no other options left but QE to Infinity! That, Sinclair says, will ultimately weaken the US dollar, sending it tumbling below 70 on the USDX. He is equally certain that China and the BRIC nations will continue to increase the gold backing of their currencies with as much gold as possible. The artificially low gold price is welcomed with open arms in the East. They will use their “gold-backed” currencies to unseat the dollar as the world’s Reserve Currency and Petro-Dollar. Gold, Sinclair promises, will top $3,500 an ounce on the way to a much higher price. On this matter, the future price of gold, Edelson agrees. Neither would be shocked by gold at $10,000. But it’s not about the “destination,” it’s about the “journey.” That’s where they differ. Yesterday, I promised to focus today’s newsletter on Larry Edelson. Almost no one thought gold and silver could ever get hit as hard as they’ve been hit. Not even the likes of big gold investors like George Soros … John Paulson … Rick Rule … Jimmy Rogers, and many others. The thing is they don’t really understand the gold market. They thought they did, but they failed miserably. Here is a recap of what he wrote. Gold and silver will soar – after it falls further, toward $1,100. The next leg up will be caused by inflation, money-printing, currency devaluations AND “A nasty set of conditions where governments are at war militarily or financially with each other.” We are still a couple of years early. Edelson downplays inflation, QE and future dollar devaluation, which are the main reasons Jim Sinclair and Miles Franklin cite as the most important reasons for the coming rise in price. 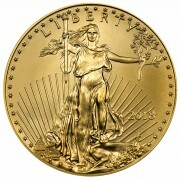 The first issue, conspicuous by its absence, is the blatant manipulation of gold and silver. After watching what happened in mid-April, can there be ANY doubt that the markets are heavily manipulated by the bullion banks (JPM, GS, etc.) and the Fed? The crash was precipitated by massive dumping, by a “motivated, not-for-profit seller.” Much has been written about this event. Much has also been written about the unprecedented accumulation of PHYSICAL gold by China, Russia and the Middle East. Larry’s entire essay does not address either of these issues but we put them at the top of the list of what you need to know to understand where we are headed and WHY. In Larry’s world, manipulation doesn’t seem to exist. It’s all about technical analysis and the actions on the Comex by the large hedge funds. That certainly has come into play, but it seems to me he is putting “the cart before the horse.” The manipulation CAUSED the massive selling by the technical and momentum funds. It was designed, not normal market action. Take a look at the following chart and see how “unnatural” it really was. Yes, Mr. Edelson started calling for the precious metals to drop since the beginning of the year. He was correct. But was his “reasoning” for this to happen correct? No matter what anyone says, the events surrounding and in particular April12th and 15th were clearly and most in your face blatantly “operations” designed to crash the price. April 12th on its own was a 5 Sigma event, something that would be expected to happen only once in 4,700 years. The two day event pushed out to 8 standard deviations, something that will happen only once in 1 billion times, a virtual impossibility in nature. In less than 12 trading hours between those 2 days, more than 40% of the world’s global gold production was sold. Eight standard deviations from the norm! The drop was so far out of the ordinary that it could never be predicted (in Larry’s charts or anyone’s). The odds were something like a billion to one that this could happen. The Dow rising for 20-days in a row is so unheard of, it could never be predicted. Not in a free, un-manipulated market at least. Edelson may be correct, so far, in where the markets are moving but he doesn’t understand WHY they are moving in the manner that they are. The second major omission by Edelson. He somehow forgets to even discuss the huge accumulation of physical gold and silver. It’s like ignoring the elephant that’s lying on the floor in the dining room. It is taking place on both the investor level and a central bank level. A disconnect seems to be taking place between the “paper” price on Comex and the “real” price that is being paid for physical gold in India and China. Jim Sinclair makes a big deal out of this. In fact, he says Comex is on the way to going to a “cash” market. No margin! The contract will cost the same as the physical. “Can’t happen,” you say?! It not only can happen it did happen in 1980, in the silver market, with the Hunt brothers trying to corner the market. 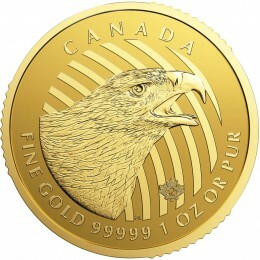 When news broke a month ago that the US Mint had suspended selling one-tenth ounce gold coins, perhaps the most surprising news was that there were thousands of consumers willing to pay the exorbitant retail premium demanded by the US mint, with the resulting order deluge promptly sapping the mint’s stretched inventories. Well: we have good news – as of moments ago the US mint has once again restocked on the popular denomination (with a 20,000 production limit), and without a limit per household. The even better news: the coin will set you back just $195. This means a “tiny” 40% premium to spot. According to Eric Sprott, Bill Murphy, Jim Rickards, and others, the “paper” gold market is leveraged around 100 to 1. The paper gold is “rehypothecated” (or the same ounce is sold over and over again 100 times in a bank-like fractional reserve Ponzi scheme) and cracks in the dam occur when the buyer stands for delivery of real gold, not a payoff in dollars. This is starting to happen now. If that is so then the emancipation of physical gold from paper gold is in process, and we know the reason for the manipulation of the gold price lower. Anyone writing to our community that denies gold and silver are manipulated is simply a Trojan horse or a horse’s rear end. Since all markets function on “trust,” the failure of the Hong Kong Mercantile Exchange is a very big deal. It casts doubt on the existence of physical gold backing the paper contracts on all of the exchanges and funds. And this is not the first firm to default and settle only in dollars, instead of the metal. 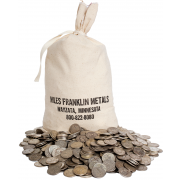 This leads to an even greater demand for the physical metal. The more that is withdrawn, in this hugely-leveraged Ponzi scheme, the closer we are to the meltdown where they all close down and if you don’t already have your gold and silver, you won’t get it!!! By ignoring this and suggesting you stay on the sidelines until a bottom is reached, $200-$300 below the current price, Edelson could well be putting you in harm’s way. He is mostly interested in selling you his service, his advice, his subscription. The very fact that he stands alone, with a view that is opposite so many bright, experienced and successful people in our industry should give you reason to pause. Yes, gold could fall further, or not. His crystal ball is based on incomplete information – there is more to this than moving averages! Why is it important to understand this and why is it important to question Edelson’s conclusions, especially his view that gold will continue to fall before resuming the bull market? Well, he is looking for gold in the $1,000-$1,100 range and the turn-around to be off in the distance for another 18 to 24-months. But the shortages of physical gold and the failure of a Mercantile Futures Exchange may well throw both his price projections and timing way off. In this market, it makes no difference if you accumulate your gold at $1,000 or $1,300. The only mistake you can make is holding off and NOT accumulating, while you can still buy it. His market is one that functions freely, controlled by paper traders using moving averages and computer algos to buy and sell. We feel there are other factors involved, factors he is not considering. Major factors. Let’s talk for a moment about his statement that it will be war, financial or military clashes that are needed along with money creation, inflation and currency devaluation. Now I ask you, do you think we have until the end of 2015 or 2016 before this explodes in our face? Do you think the on-going war in Syria, which is threatening to spread beyond her borders, will stay contained for another 18-24 months? What about the possibility of Israel attacking Syrian arms depots to destroy the new hi-tech weapons that are on the way from Russia, and they come with Russian technicians who would also be in harms way? Are we playing with TNT over there? Trust me, if the Middle East goes up in flames and the price of oil explodes as a result, do you think Larry’s timetable will mean anything? Moscow reports that four batteries of S-300 systems with 100-150 simultaneously deployable, guided anti-aircraft missiles have already been shipped to Syria complete with Russian military “adviser” crews. DEBKAfile: An Israeli strike to smash this weapon would entail hitting their Russian crews. US officials report the delivery to the Syrian government Yakhont anti-ship cruise missile updated with advanced radar for extending is range and accuracy. It is designed to counter any effort by international forces to supply Syrian rebels from the sea, impose a naval embargo, establish a no-fly zone or carry out limited strikes. DEBKAfile adds: The improved Yakhont enables Syria to keep Israeli missile ships far from its coast and block troop landings. I respectfully decline to comment on “Larry Edelson.” Before joining Miles Franklin in October 2011, I had not ever heard of him in nearly ten years of being a well-known commentator (and 100% investor) in the PM business. I have met EVERYONE there is to meet – and aside from the pages of David Schectman’s blog, have no knowledge of his existence. For a decade, I have railed against the charlatans that try to get people to PAY for their blogs by fear mongering; particularly with “proprietary technical analysis” in a rigged world where TA no longer has ANY bearing. Such people are invariably “long-term bullish, but short-term bearish”; seeking to get you to TRADE PMs – in which 99% of the people lose, including experienced COMEX traders. I could not care less what Edelson has to say. My goal is to PROTECT your wealth with long-term inflation insurance; his is to STEAL it – both directly and indirectly. Edelson has refused for years to acknowledge the manipulation of PM prices; for this reason he may well be a planted disinformation specialist, just like the ones seen on all the financial blogs. The difference in Edelson’s case is that he has been given a forum by his employer; a pump and dump newsletter. Well who would you rather follow, Sinclair and Turk and others who are permabulls and Wrong for all the right reasons or Edelson who, as you put it, Right for all the wrong reasons? I presume, but haven’t checked, that you, Sinclair, Turk et.al. were all telling people to buy when gold was in the high 1900 and silver was in the high 30s, saying things like ” We’ll never see $1700 gold again ” etc. well who was doing a disservice to people then? How many people are underwater because they listened to you mainstream permabulls, and how many people could have bought almost twice as much now than when they did if they followed that advice? a bit more common sense and impartial analysis. Of course the charge that Edelson wants to profit from his advice sounds a bit like the pot calling the kettle black from where I stand, isn’t Turk, Sinclair, who owns a mine, and the franklin mint all in the business of selling the gold story and won’t make a profit by telling people gold could go down? As for manipulation etc. please read Martin Armstrongs blog on that topic for a bit of informed counter argument. Interestingly both Armstrong and Edelson are experts in cycles and particularly Armstrong has a track record compared to none, even Sinclair acknowledges that! Larry has always maintained holding a core position in gold and silver and his, and armstrongs, calls of waiting to add to those positions have been correct , the reasons he gives are because the flight from the euro and yen to the dollar. Once that move finishes the dollar will fall against gold and silver, completely logical and that is what we are seeing, so he is not right for all the wrong reasons, he’s right for the reasons that matter! I’m only defending him because of all the negative press you guys throw at him even though he’s right! I can only assume either some kind of proffesional jealousy or his correct calls are hurting your business, either way you have a responsibility to your readers to give them both sides of the story and let them figure out who’s right and who’s wrong. Could be Larry is wrong about his $1100 gold call or under $20 silver call, as wrong as you permabulls were in gold never seeing $1700 again, but are you man enough to give him credit if it does go to those levels or will you continue to trash him for what ever reasons and show your true colors?…..I wait to see…. If gold and silver are in an interim bear market; don’t shoot the messengers, e.g. Larry Edelson. 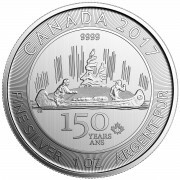 Even Rogers is now bashing silver and saying he now prefers gold over silver as gold has more ‘value’. Of course, he is covering his tracks for later so that he can tel us “I told you so.” if and when silver plunges to the teens. Get off of this opposing viewer bashing, it’s shameful and unprofessional.